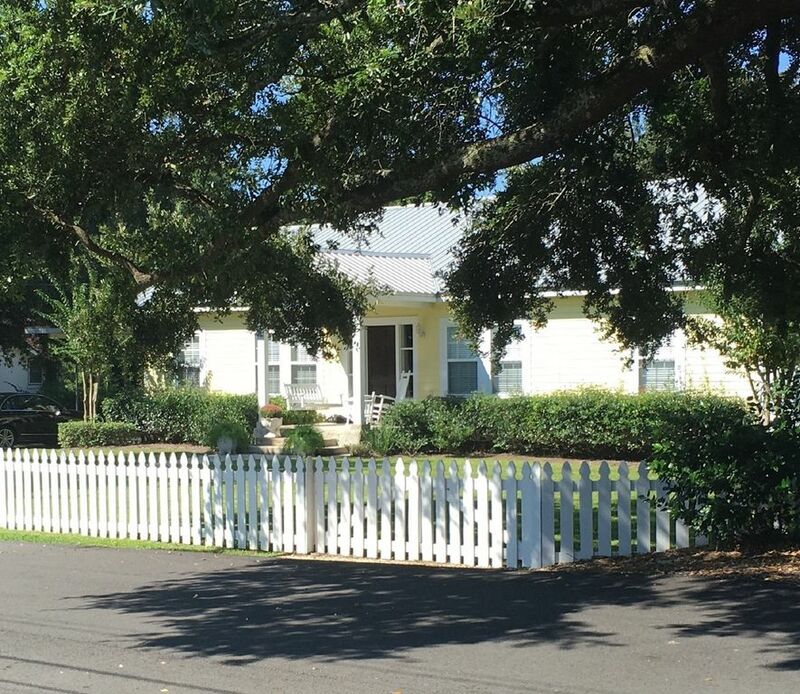 Come and Enjoy all that Ocean Springs has to offer and stay in a Beautiful Cottage Home located in the heart of Ocean Springs Historical District! This charming cottage is located on a quiet and tranquil tree lined street. Just a short 2 block walk will take you to the downtown area, to great Boutiques and Shops that line Washington Ave. Also the many restaurants that OS has to offer for Great Dining! Gulf Waters and Beaches just a 2 block walk, offers biking, fishing, walking or a casual day enjoying the Sun, Beach and Gulf Breezes! and Entertaining ! All just in walking distance! The many casinos are a short drive over the bridge! with the casual lifestyle of this beach town. Beautiful bathrooms complete with travertine marble, top of the line accessories and decor. Lovely decor throughout , with hardwood floors . at this quaint and lovely cottage! Lovely home, quiet street, convenient to shops and beach (walkable). Great layout for family. We have visited Ocean Springs every April for the last 3 years for the Hobie Cat Midwinters East Regatta. Each time we have rented a house in Ocean Springs and this one has by far been the best. A wonderfully decorated 3 bedroom 2 bath home close to the beach and the Yacht Club. We look forward to renting it again next year. What a wonderful stay we had in this beautiful house! Not only is ithe house gorgeous, but it is right in the middle of the charming town with shops and restaurants. And if you have any questions the owner was always available and very accommodating! Great relaxing place to stay! The cottage is beautifully decorated and comfortable, including lovely linens, well-appointed baths, and the most completely equipped kitchen imaginable. The location is on a quiet street within walking distance to the charming downtown and great restaurants, as well as to the beach. We enjoyed all the opportunities to walk local neighborhoods. We thoroughly enjoyed our stay and hope to stay again! There was plenty of room for 5 of us to sleep, eat, cook, relax. Kitchen was well stocked with cooking items and appliances all very easy to use. Everything was clean, maybe I got a bit worried about messing up the white furniture; extra insurance gave me peace of mind so I didn't stress about it. If you have messy kids it would be worth the peace of mind. It was close to the beach and we enjoyed walking there. Owner very responsive with text and phone. how are you! I am so happy you enjoyed your stay in Ocean Springs, its definitely a quaint little city! And that you found the home comfortable and accommodating! Its great to be able to walk to beach, and downtown; to enjoy restaurants and shopping! Please no worries the joy of slipcovers is that can be washed easily. Hope to see you in the future for another enjoyable trip to Ocean Springs. This property is a charming cozy cottage within walking distance to Downtown Ocean Springs.The owner has done a complete remodel job on this property and included all the bells and whistles! There are 3 bedrooms, master with king bed (shares master bath with 2nd bedroom twin beds) and third bedroom queen bed with private bath.There's an additional 1/2 bath in laundry room. Living Room/Dining Area, Kitchen and Den area. 2 Tv's (1 in master bed and 1 in Den). Parking for 3 vehicles within the fence. Love this place will definitely return! In the agreement of the rates and terms of the booking (6 people), if there are additional persons, adult or child, there will be an additional fee per person per day.